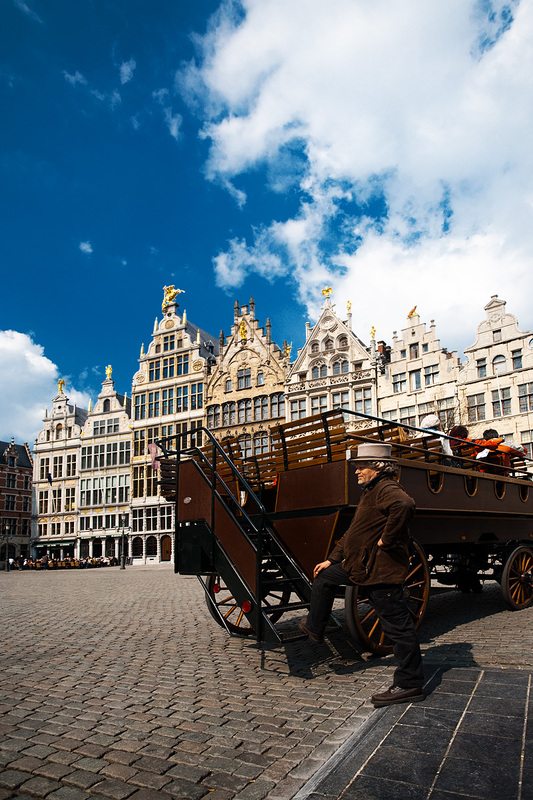 A tourist sightseeing carriage driver poses for a photograph at Grote Markt Square. To capture this man in a hero's stance was purely an accident. I was already pointing my camera in that direction when he jumped into the frame and decided to pull the Captain Morgan pose on me. I don't think he was intentionally hamming it up but I wouldn't put it past him as Dutch speakers tend to be up for a good laugh. 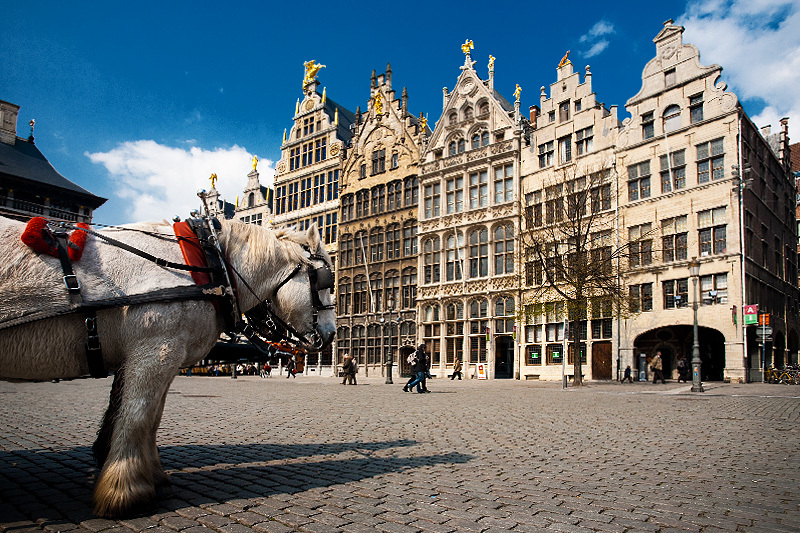 Carriage pulling horses rest in front of the guild houses at Grote Markt Square. My heart always goes out to these overworked beasts of burden. They never volunteered to yank around a cart-load of lazy foreigners but must oblige nevertheless. Each time I come across these tourist traps, I silently protest and comfort myself with the reminder that at least they're not working in a third world country like India.